The Azure CLI is used to create and manage Azure resources from the command line or in scripts. This guide details how to use the Azure CLI to deploy an Oracle 12c database from the Azure Marketplace gallery image. 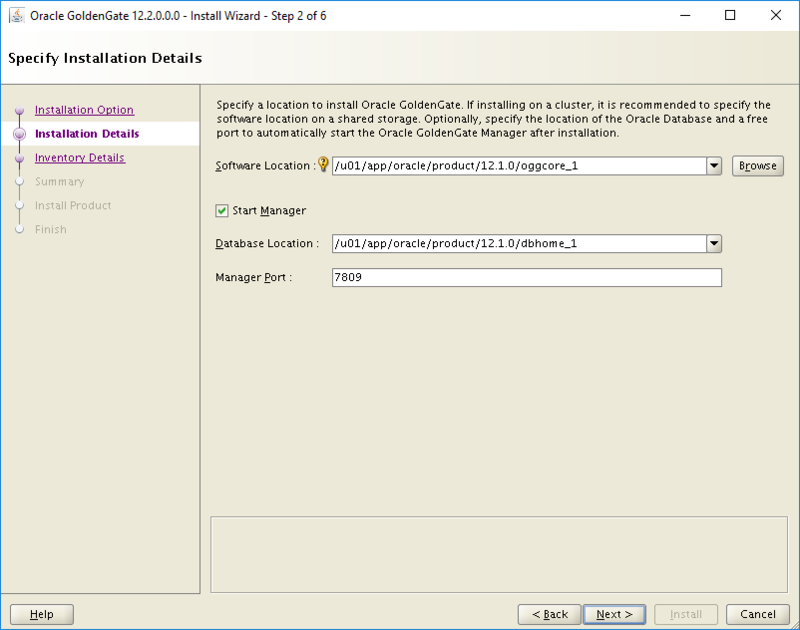 This document shows you step-by-step how to create, install, and configure Oracle Golden Gate on an Azure VM. Before you start, make sure that the Azure CLI has been installed. For more information, see Azure CLI installation guide. To perform the Oracle Golden Gate installation, you need to create two Azure VMs on the same availability set. The Marketplace image you use to create the VMs is Oracle:Oracle-Database-Ee:12.1.0.2:latest. You also need to be familiar with Unix editor vi and have a basic understanding of x11 (X Windows). Sign in to your Azure subscription with the az login command. Then follow the on-screen directions. 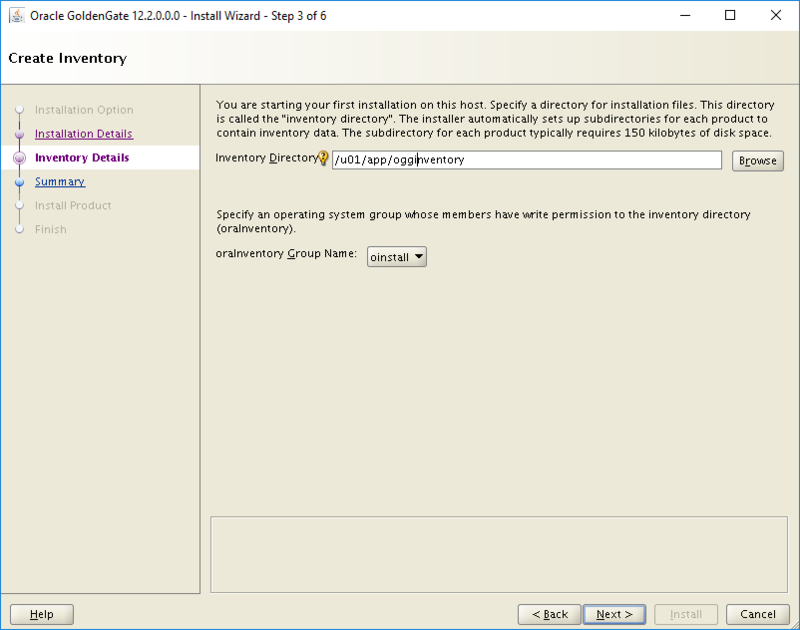 Create a resource group with the az group create command. An Azure resource group is a logical container into which Azure resources are deployed and from which they can be managed. The following example creates a resource group named myResourceGroup in the westus location. The following step is optional but recommended. For more information, see Azure availability sets guide. The following example creates two VMs named myVM1 and myVM2. 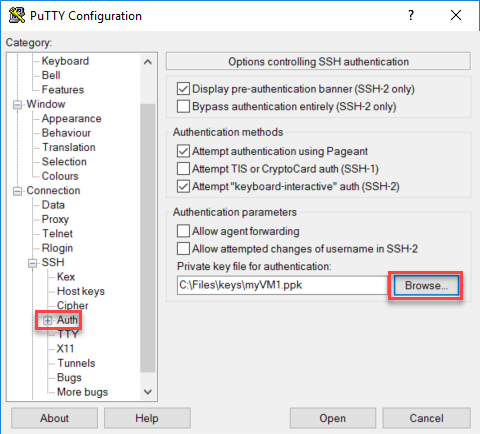 Create SSH keys if they do not already exist in a default key location. To use a specific set of keys, use the --ssh-key-value option. Take note of the publicIpAddress as well after it has been created. The next step is to configure external endpoints, which enable you to access the Oracle database remotely. To configure the external endpoints, run the following commands. 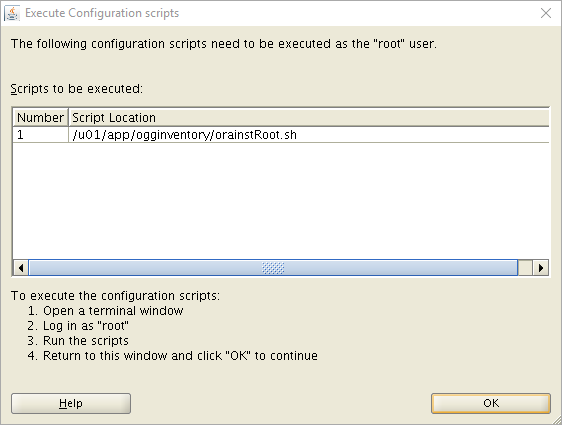 Use the following command to create an SSH session with the virtual machine. Replace the IP address with the publicIpAddress of your virtual machine. 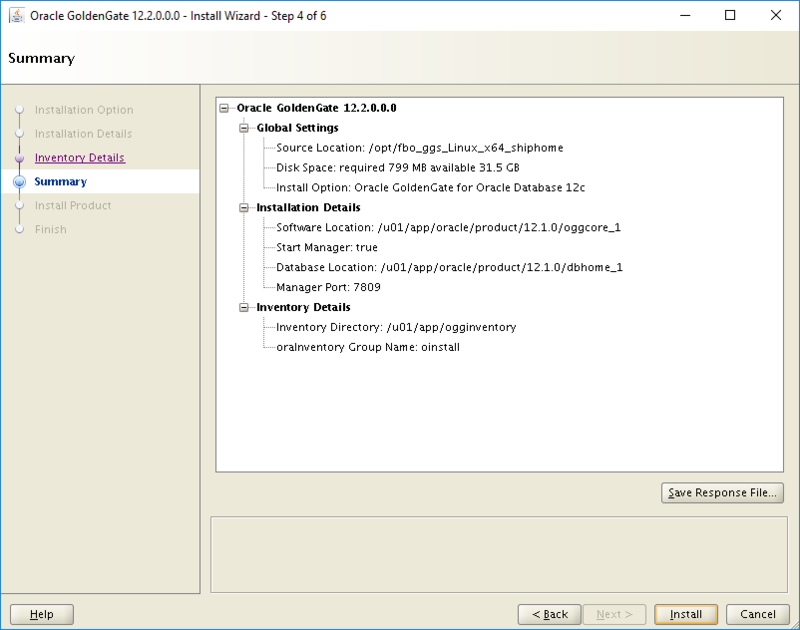 The Oracle software is already installed on the Marketplace image, so the next step is to install the database. Look at the log file "/u01/app/oracle/cfgtoollogs/dbca/cdb1/cdb1.log" for more details. Set the ORACLE_SID and ORACLE_HOME variables. Optionally, you can added ORACLE_HOME and ORACLE_SID to the .bashrc file, so that these settings are saved for future sign-ins. To configure Golden Gate, take the steps in this section. Enable force logging, and make sure at least one log file is present. Download the fbo_ggs_Linux_x64_shiphome.zip file from the Oracle Golden Gate download page. Under the download title Oracle GoldenGate 12.x.x.x for Oracle Linux x86-64, there should be a set of .zip files to download. This is an optional step. You can skip this step if you are using a Linux client or already have x11 setup. After you install PuTTY, in the PuTTY folder (for example, C:\Program Files\PuTTY), run puttygen.exe (PuTTY Key Generator). To generate a key, select the Generate button. Ignore the warning that appears, and then select OK.
Start PuTTY. In the Category pane, select Connection > SSH > Auth. In the Private key file for authentication box, browse to the key that you generated earlier. In the Category pane, select Connection > SSH > X11. Then select the Enable X11 forwarding box. In the Category pane, go to Session. Enter the host information, and then select Open. Sign in as oracle. (You should be able to sign in without being prompted for a password.) Make sure that Xming is running before you begin the installation. 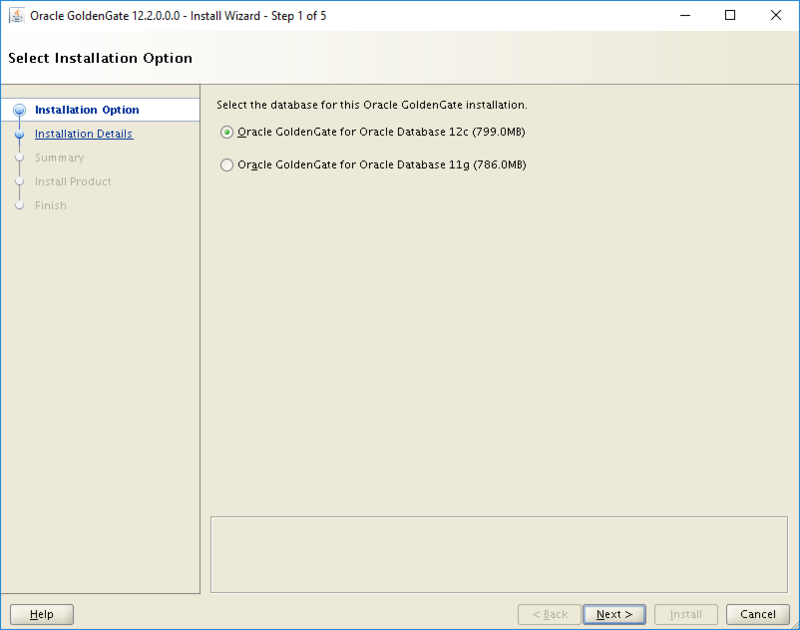 Select 'Oracle GoldenGate for Oracle Database 12c'. Then select Next to continue. Change the software location. Then select the Start Manager box and enter the database location. Select Next to continue. Change the inventory directory, and then select Next to continue. On the Summary screen, select Install to continue. You might be prompted to run a script as 'root'. If so, open a separate session, ssh to the VM, sudo to root, and then run the script. Select OK continue. When the installation has finished, select Close to complete the process. Create the Golden Gate owner and user accounts. The owner account must have C## prefix. Configure the extract parameter file. 2017-05-23 15:44:25  INFO    OGG-01788  SCHEMATRANDATA has been added on schema test. 2017-05-23 15:44:25  INFO    OGG-01976  SCHEMATRANDATA for scheduling columns has been added on schema test. Add the following to the EXTRACT parameter file (by using vi commands). Press Esc key, ':wq!' to save file. 2017-05-23 15:58:34  INFO    OGG-02003  Extract EXTORA successfully registered with database at SCN 1821260. The replication has begun, and you can test it by inserting new records to TEST tables. 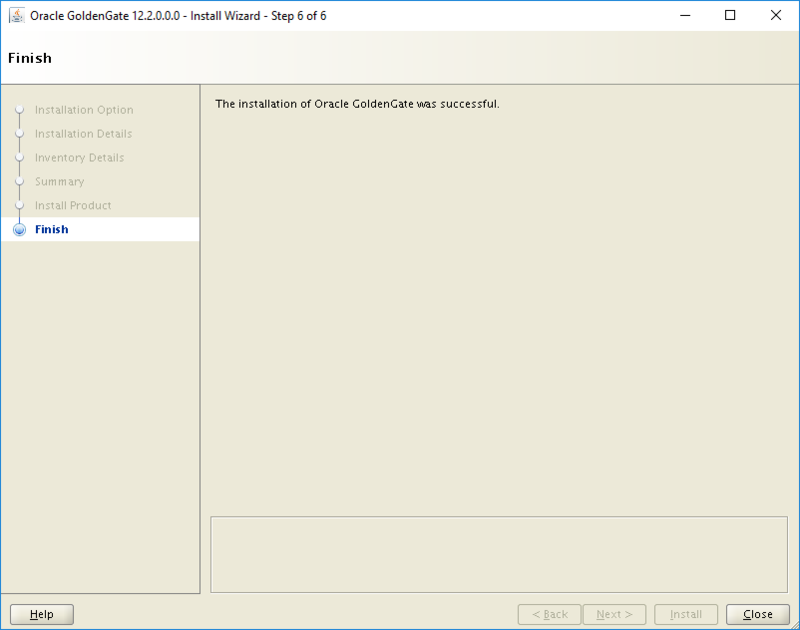 This completes the installation and configuration of Golden Gate on Oracle linux. When it's no longer needed, the following command can be used to remove the resource group, VM, and all related resources.